What do beautiful, modern furniture pieces, Sharp's AQUOS® televisions, and the Hakko FX-888 Soldering Station have in common? They were designed with functionality AND artistic beauty in mind. When Hakko set out to create a replacement for their popular 936-12 Soldering Station, they wanted something that was not only powerful, but "fun" to use and "attractive." They turned to the man whose furniture and product creations transcend everyday objects into pieces of art: designer Toshiyuki Kita. Flip the Hakko FX-888 Soldering Station over and you'll discover a name and a signature. Pretty unusual for an industrial item to be "autographed," but when an award-winning designer and artist creates something for you it's worth bragging about. Kita's philosophy for the FX-888 was to create a soldering station where "the conventional industrial appearance is wiped away and innovated into a form that will bring free imagination." The FX-888's election as a Japanese Design Selection is good evidence that he succeeded. To get a closer look at, and learn more about the Hakko FX-888, check out Q Source's "Unboxing the Hakko FX-888 Soldering Station" video and our blog post. 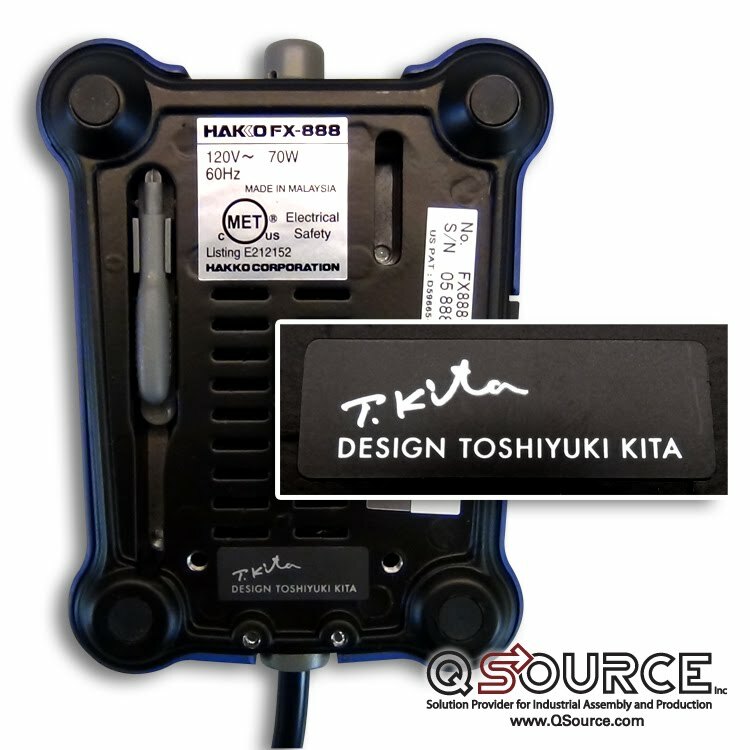 Visit QSource.com or call 800-966-6020 to order the Hakko FX-888.